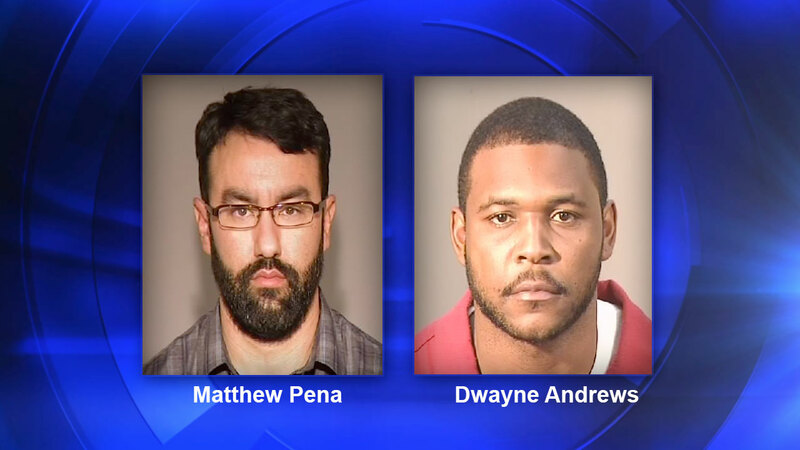 FRESNO, Calif. -- Clovis High School teacher Matthew Pena, 32, and walk-on coach Dwayne Andrews, 30, were both arrested on three counts of sexual activity with a minor on Thursday. The Clovis Police Department arrested photography teacher, baseball and golf coach Matthew Pena on Thursday afternoon. Assistant coach and substitute teacher Dwayne Andrews was also arrested later in the day. Both teachers face the same three felony charges and police say the incidents included the same victim at separate times. On Thursday, Police said the Clovis Unified School District alerted them to a report by a female student of an inappropriate relationship with a male teacher at Clovis High School. Police said after validating the report, they arrested Matthew Pena of Clovis, who later resigned from Clovis Unified. Police said during the investigation, it was discovered that part-time Clovis Unified employee Dwayne Andrews had also had a previous relationship with the same student. He was also arrested on the same charges, and is no longer employed at Clovis Unified. Action News has learned that Matthew Pena was also fired by the Pacific Coast League last summer as scorekeeper for the Fresno Grizzlies. Dwayne Andrews played football at Fresno State. Clovis Police said the victim was 17-years-old at the time of the encounters. She is now 18-years-old.